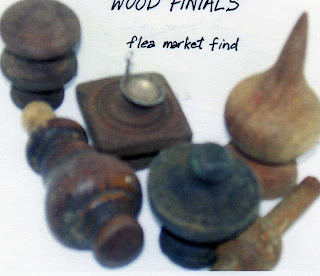 These are wood finials I found on my trip to the flea market before my last show. Now what will I do with these? Well believe it or not they will become hats once a hole is drilled to pass ribbon through! A real crowning glory. 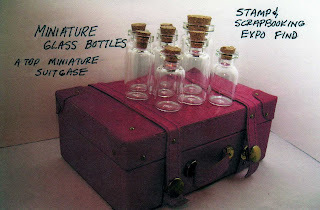 The trunk is about3 by 4 inches so you can see the bottles are at largest 2 inches and the rest maybe 1 and1/2 inches. The ribbon in the other trunk is silk. 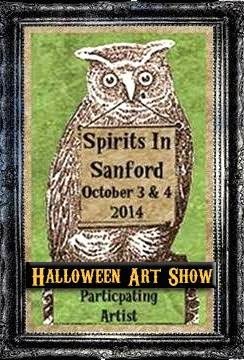 Just some of my finds on my way to the Tampa show. 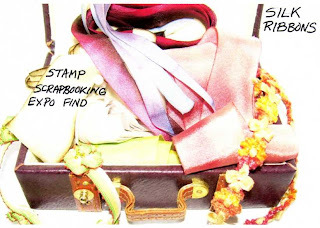 I got up early just so I could attend the Stamp and Scrapbook Expo for two hours before driving to Tampa. It was well worth it!